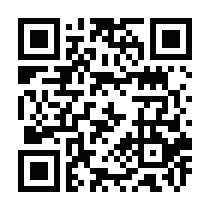 Nippon sewing machine news had reported Takaoka Technocut working | Takaoka Co.,Ltd. Nippon sewing machine news had reported Takaoka Technocut working at HODAI KOGYO on “The Fashion MACHINE NEWS 2018 December No.712” . 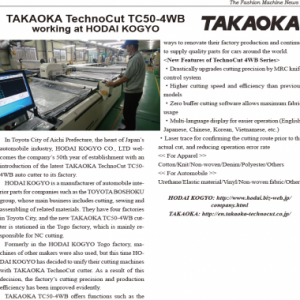 Nippon sewing machine news had reported Takaoka Technocut TC50-4WB working at HODAI KOGYO on page33. The customer has improved their production quality and efficiency by replacing their old cutter with TAKAOKA’s newest 4WB cutter. ← Our president James Kao was interviewed by Taiwanese television news at TTG.